Why is there no sound on my videos? How do I view my livestream? 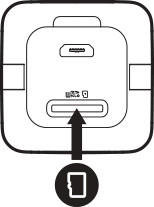 Can I connect my Polaroid Cube+ to my computer? How do I charge the batteries? 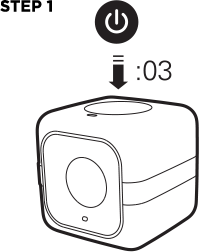 Can the Polaroid Cube+ turn on by itself or through the app? Can I take pictures with my Polaroid Cube+? What do the different LED colors on the Polaroid Cube+ mean? Download our App from Google Play or Apple App Store. 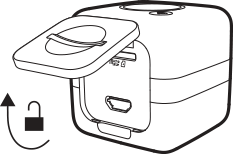 Open the back cover, a small coin can be used to pry open the door. 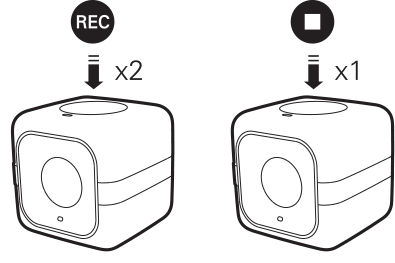 Insert a MicroSD card into the back of the Polaroid Cube+ (an orange light will flash and the Polaroid Cube+ will beep audibly to notify you whilethere is not a MicroSD card present). 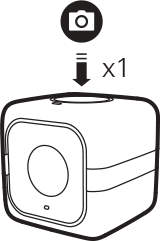 Step 1: Hold down the center button for 3 seconds to power on your Polaroid Cube+. 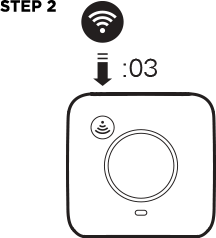 Step 2: Hold down the WiFi button for 3 seconds to activate your Polaroid Cube+ network. Step 3: Open the WiFi settings on your mobile device and select the Polaroid Cube+ network listed. Step 1: Tap the center button twice in quick succession to begin recording. Step 2: Tap the center button once to stop recording. Tap the center button while not recording to capture a still image.